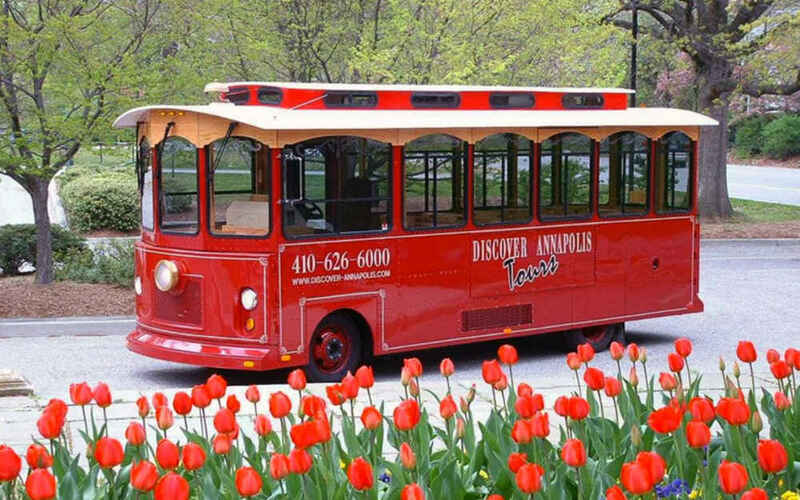 We offer both public and chartered tours seasonally, (our trolley is air-conditioned or heated as the season requires), with available 40 and 60 minute tours. 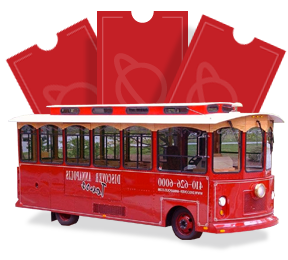 Click on the trolley to purchase your tickets today! You can also email us for more information at info@discover-annapolis.com, or call us at 410-626-6000. My husband and I took the 60 min tour and just loved it. We had been in Annapolis already for 5 days and walked around quite a bit and found that we hadn't even scratched the surface of all there is to see and learn about this beautiful and historic city. Our guide was wonderful. I highly recommend this for people who are interested in the history and architecture of the area. Click on the Trip Advisor Logo to get real reviews from our Visitor's ! You can also leave one from your own experience! The guide was unique, very knowledgeable, yet a lot of his knowledge was first hand, not out of a book. Smart way to go as he knew the roads, the ally's and the sneaky ways around the traffic. Very enjoyable and educational. Gave us a solid "lay of the land" upon which to plan the rest of our day.